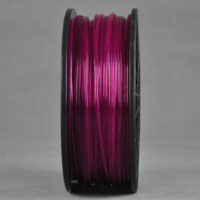 Translucent PLA 3D Printer Filament. 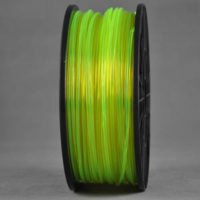 Translucent filament allows some light to pass through the filament, and your final printed object. Polylactic Acid (PLA) is a bio-degradable polymer that is produced from lactic acid, which is fermented from crops such as maize. 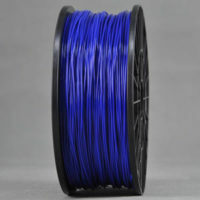 It is harder than ABS, melts at a lower temperature (Recommended temperature 180-220°C) and has a glass transition temperature between 60-65°C, making it a very useful material. 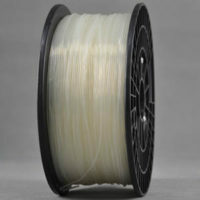 Translucent allows some light to pass through the filament, and your final printed object. 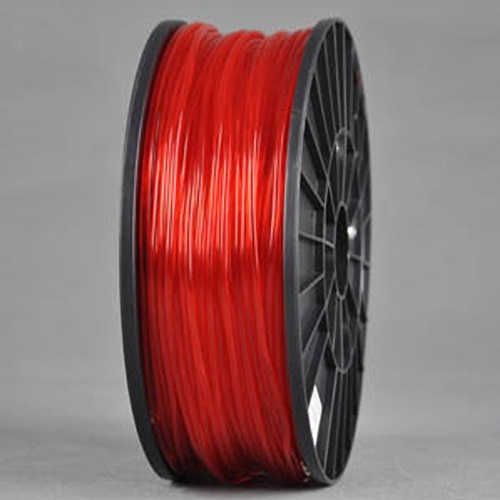 Dimensionally stable – there is no need for a heated build platform. 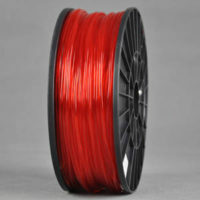 PLA is relatively inexpensive and easy to source in filament form. 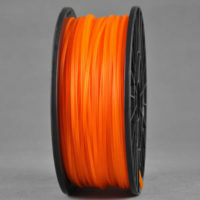 PLA bonds very firmly to Acrylic, and it is not recommended to print directly on an Acrylic build surface – you will struggle to remove the print. 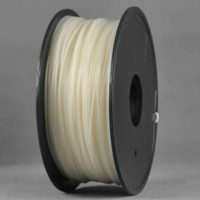 PLA stick well and can easily be removed from various Tapes (may require some experimentation to find a suitable tape). Pre-heated Kapton tape (both the part and surface will need to cool before removing the part). Heated Glass (adhesion can be improved by using a strong-hold hairspray). 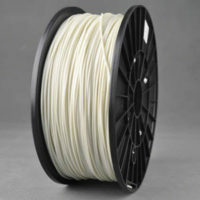 PLA is a very suitable material for beginners in 3D printing to professionals alike.